I never like buying cars that don't run -- it ends up being WAYYYY more of a project than expected, that busted engine turns out to be connected to a busted transmission which puts power to a busted rear-end which is equipped with busted brakes-- I much prefer to get a car that looks terrible but runs/drives because you find out so much more about the car...but there are times when the asking price is low enough to be worth the risk. Find this 1972 Fiat Spider 850 Sport offered for $2500 in Grants Pass, OR via craigslist. Tip from FuelTruck. 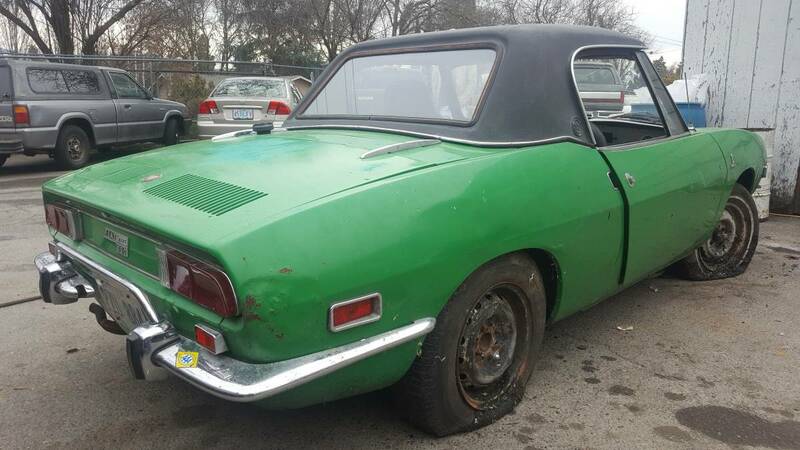 Rare Hardtop 1972 Fiat Spider 850 Sport hardtop with a soft top option. Clean Oregon title. Car does not run, the engine needs replaced. Manual 4-speed transmission. The odometer reads 65,637 miles. Will need need new tires. Would make for a great project and has lots of potential. This is my favorite small-old car (that I don't really fit in). They're so slow it's a novelty to drive them. It's like a giant backyard-gokart. I thought it would be fun to put a BMW K-bike 4 cylinder in one of these. That's a longitudinal engine with a dry clutch, so it wouldn't take too much adapting to get one in here, and while it would double (triple, or even more) the power number, it wouldn't take it so far as to ruin the drivability. I think this particular example is a lot of money considering it's both non-running and in need of bodywork. I guess they're moving up in values. I kinda felt like the CL seller's finger slipped and hit the 2 key while they were typing out the asking price. Love these old Fiats, but here in Oregon, you NEVER let a car sit outside! The rust monster seeps into every seam and crack. 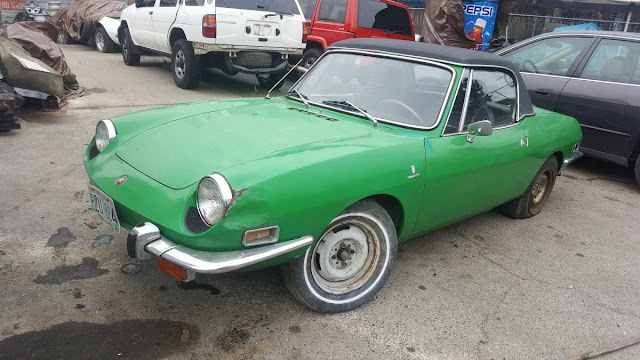 And this Fiat has been left outside, AND it has body damage... which is way expensive, unless you can do it yourself... and for the $15K to $20K it would cost to restore this car, it would be cheaper to buy one that is already puffed. This looks to be a MUCH better buy.